There is a feature on the Janome MC9400 that you may not know about: it’s the memorized quilt seaming feature. This feature can be very handy for specific stitching circumstances, such as when stitching partial seams. If you wanted to use this feature when piecing a quilt top on the Janome MC9400, this is how you would do it. You would go into the Sewing application (t-shirt icon), choose Patchwork and then Straight Stitch (#1) and stitch a seam. When you had finished stitching, you would notice a message on the display screen asking if you wanted to stitch another seam with the same size. You could click on “OK” and when you next started stitching, the machine would stitch a line of stitching exactly the same length as the one you had just previously stitched. If you didn’t want to stitch a seam the same length, just choose the “X” and you could then stitch any length of seam you wanted. The memorized quilt seaming feature would be helpful for stitching partial seams in quilt blocks or other situations where you want to repeat the same length of stitching. Click on the image below to see how to set up and use the memorized quilt seaming feature on the Janome MC9400. See page 90 in your manual for more information on the memorized quilt seaming feature. DID YOU KNOW? Enrolment in The Quilter's Way is now open. If you want the solution to your quilting problems and become the best quilter you can be, you need to be a member! Join here. Another beautiful embroidery book from Reiko Mori. Elegant Embroidery is full of elegant embroidery designs, as the name implies. 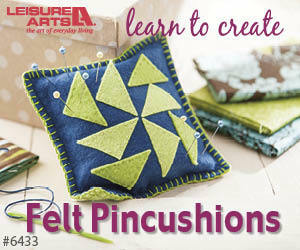 These designs use simple embroidery stitches and include projects such as totes, boxes and more. While complete instructions are included for all of the projects in the book, I could certainly see other possibilities for these designs. The embroidery designs in this book are exquisite, detailed, and oh so appealing! The book is divided into different sections, grouping similar designs in each section, such as Black Collection, Marine, and Flower. Some of the designs in the book include ballet slippers, a gorgeous evening gown, and even a vintage sewing machine! Elegant Embroidery also includes a comprehensive section on embroidery stitches with tips for doing hand embroidery. Full instructions on how to make each of the projects in the book, with diagrams, are also included. For a closer look at Elegant Embroidery, click on the image below. Get your own copy of Elegant Embroidery here. P.S. I am an Amazon affiliate and, if you purchase items by clicking through the links in this post ,I will receive a small amount of commission. This helps me to continue creating free content for you. Thanks! One of the very helpful features on the Janome MC9400 is the automatic presser foot lifter. You can set the machine so that every time you stop stitching, the needle goes down into the fabric and the presser foot automatically lifts up by pressing this button on the display screen. The presser foot will automatically go down again when you start to stitch. I love these presser foot options on the Janome MC9400, but one thing that I didn’t love was that I often wanted the presser foot to lift higher and it took me a while to figure out how to do this as it isn’t in the machine’s manual. You can set the height of the presser foot to its highest point in the Settings area, but I want to be able to have the presser foot be set at a regular height and then just be able to push a button to have it raise to the highest height – yes, I’m fussy like that! Click on the image below to see how you can have the presser foot lift to its highest height on the Janome MC9400, without adjusting the height in the Settings area. Do you change your home decorations with the season? I admit that I don't do this very often but I do like to change out my wall hangings and sometimes even table runners for different times of the year. I certainly do this in December where the whole house looks like a Christmas bomb exploded in our house! I've included links to each book so you can take a closer look at them or even add a few to your quilting library. Click on the image below to see a little of each of these books. Do you like to put out seasonal quilts in your home? I'd love to see your quilt projects, so just pop a photo in the Comment section below. If you have a favourite quilt book that has seasonal projects in it, let me know that too. BIG ANNOUNCEMENT: Enrolment in The Quilter's Way is now open. If you want the solution to your quilting problems and become the best quilter you can be, you need to be a member! Join here. P.P.S. I am an Amazon affiliate and will receive a small amount of compensation if you purchase a product by clicking through links in this blogpost. This allows me to continue to provide you with FREE content each week. Thank you.